The Coalition offered 12 recommendations to change photo ID policies and to promote equal employment of members of underrepresented groups. The Coalition pressed for collective action by community groups, the press, and the establishments, and urged groups to avoid sponsoring events at places that refused to comply with the recommendations. In May 2015, nearly 30 years later, Ernest Owens, a Philadelphia-based journalist published his accounts of ongoing racism and discrimination within Gayborhood establishments as a black gay patron. In the Metro Philly article, “Black Not Fetch Enough for Woody’s,” Owens echoed the same concerns as those raised in 1986 with a focus on two establishments: Woody’s & ICandy. 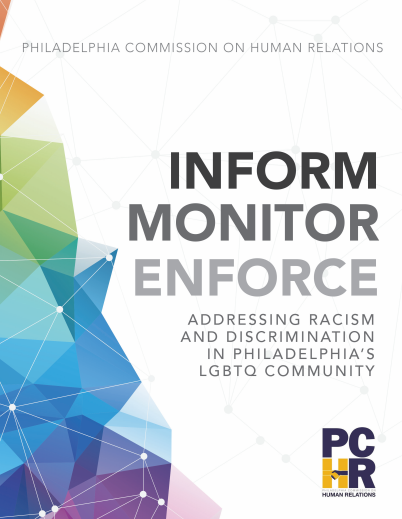 In October 2015, Philadelphia Black Pride (PBP), a program of the Center for Black Equity, responded to the series of articles with a call to action to eradicate the incidents of discrimination via a series of town hall meetings. PBP objectives were to gain community insight on the climate of incidents, develop a strategy to reduce the number of incidents, identify inclusive spaces, and implement a system of accountability. From late 2015 through 2016, two black gay male patrons revealed that they were denied access to ICANDY and Woody’s for alleged dress code violations. Many members of the LGBTQ community viewed their denial of entry as discriminatory. When their stories were shared via social media, racial tension began to rise. In the spring of 2016, the Black and Brown Workers Collective (BBWC), whose stated mission is “to actively challenge, resist and dismantle systems of oppression that adversely impact the Black and Brown worker,” began confronting LGBTQ-identified HIV/AIDS non-profit organizations and service providers through direct action protests. Prior to their activism, the public controversy had been limited to bars and places of entertainment. The BBWC’s Call to Action focused attention on employment inequities produced by racism, heterosexism, ableism, ageism and classism at two of the largest non-profits serving Philadelphia’s LGBTQ community: The Mazzoni Center and Philadelphia FIGHT. Their charges relate to discrimination impacting a full range of employment practices from hiring, evaluations, promotions, training and personnel development to excessive supervision, exploitation of bilingualism and discharge. The BBWC’s activism and public demands for change gained traction and attracted media attention.